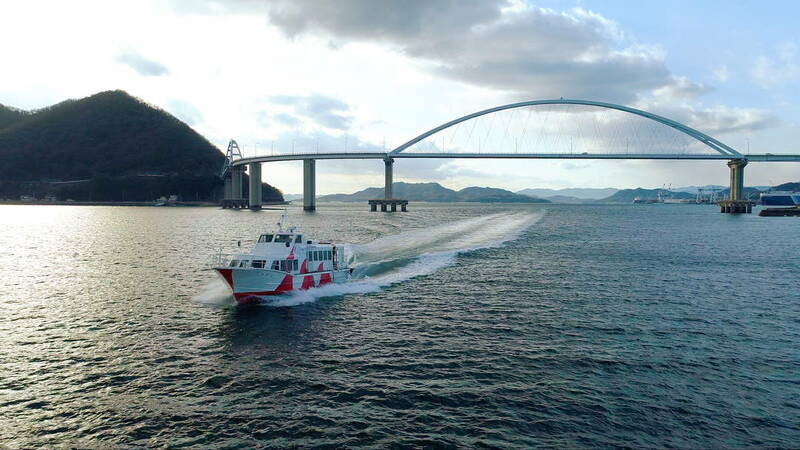 The inland sea "Seto Inland Sea", located between Honshu and Shikoku, is known for its beautiful scenery of the calm sea and a number of islands, but also known as a sea route used by trading boats called “Kitamae-Bune” which supported Japanese economy in old times. Kitamae-Bune is a ship which used to call many ports between Osaka and Hokkaido around the Sea of ​​Japan doing businesses, from around the middle of the 18th century to the beginning of the 20th century. In the Seto Inland Sea which is a passage exiting from the Osaka to the Sea of ​​Japan, there are some towns which keep their remnant as ports of call. 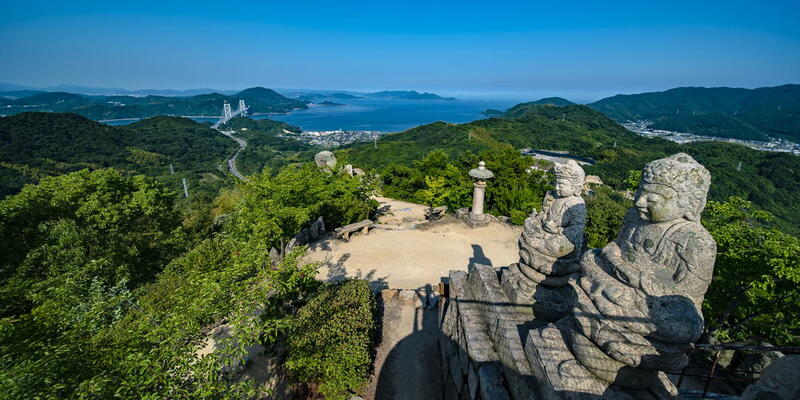 "Tomonoura" called “A port for awaiting favorable tide”, and "Onomichi” called “A small city like a miniature garden" are representative of the town of Setouchi (the regions facing the Seto Inland Sea) where such nostalgic atmosphere is still given. 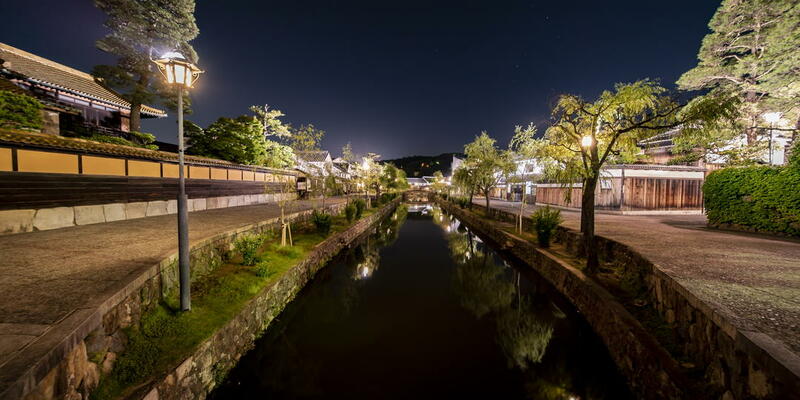 Let's take a stroll through these two towns where leave the old Japanese shadow, using the ferry connecting these two. 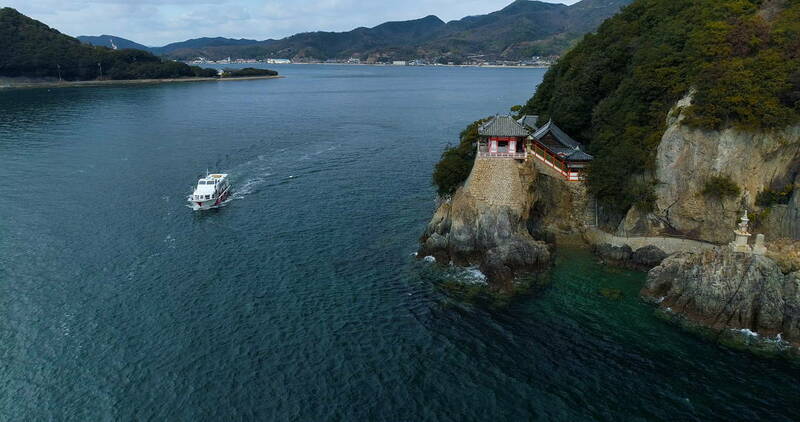 Thinking of the merchants who enjoyed prosperity at the port for awaiting a favorable tide "Tomonoura"
The Seto Inland Sea shows a quiet sea surface like a lake, but also known for having one of the world's strongest current accompanied by the tides. In the era when manually moving the ship, it was necessary to advance the boat riding the current which switched every 6 hours. To that end, the port was born for awaiting the current to be switched. 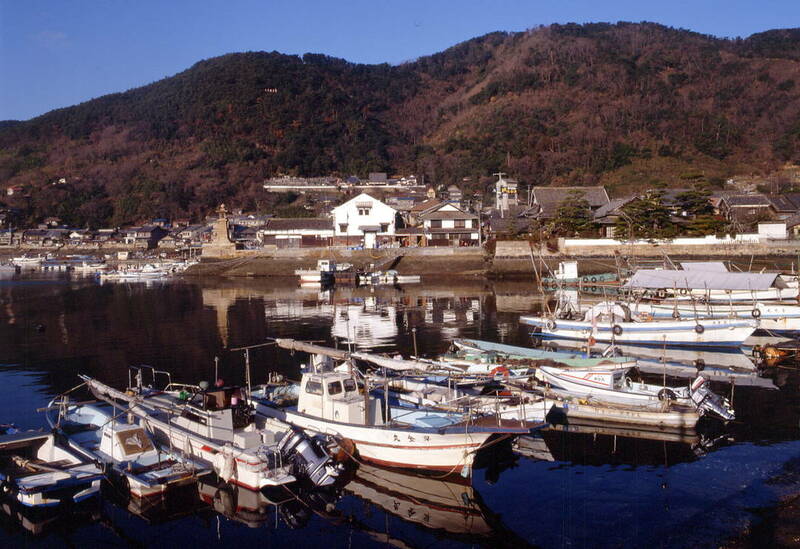 Tomonoura developed as such a port for awaiting a tide. Even now, the houses of plate fences and lattice haven’t been changed since they prospered in the merchant ship business. You can feel as if you are travelling back in time just by walking around the street corner, and furthermore, you can go inside and visit "The residence of the Ota family", etc. 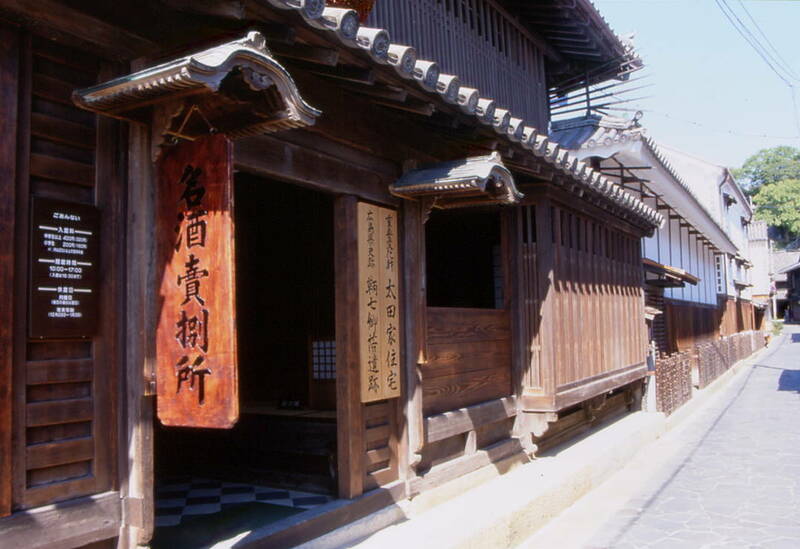 In the space where old-fashioned Japan remains, the image of old merchants who built a rich culture will expand. Another thing, we really recommend you to see the scenery of the harbor. For example, the seaside stone stair called "Gangi" was made innovatively in order to haul up a ship even at low tide or high tide, and unloading was performed at the lowest tier at low tide, at the top tier at high tide. 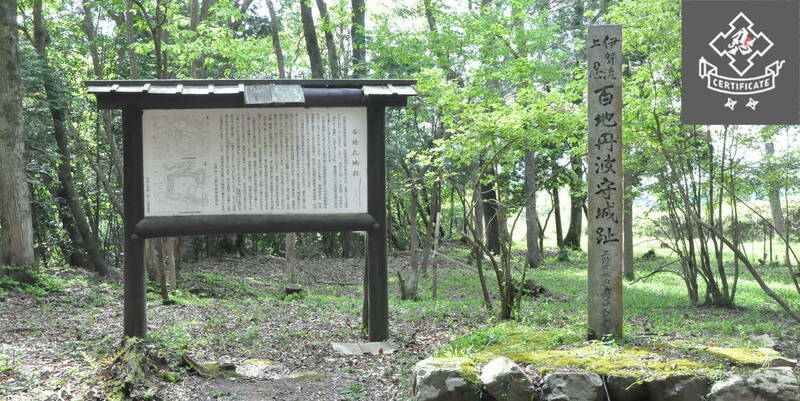 In addition to this, there are also "Joya-to”, which is stone lanterns, “Hatoba", which is said to have been completed in the 19th century, “Tadeba” ruins, where shellfish attached to wooden ships were burned and dried, “Funa-bansho” ruins, where trafficking of sea vessels was watched, and the like, the harbor is in existence with the appearance at that time in almost complete form. It is an outstanding and precious harbor in Japan. In fact, some people are saying that the town of Tomonoura is the site of the animation movie "Ponyo on the Cliff by the Sea". It is said that director Hayao Miyazaki who came to like Tomonoura made a long stay, and made the plan of Ponyo while walking in the town, and yes! there are some sceneries which are suggestive of the world of Ponyo .... Looking for such a landscape seems also fun. 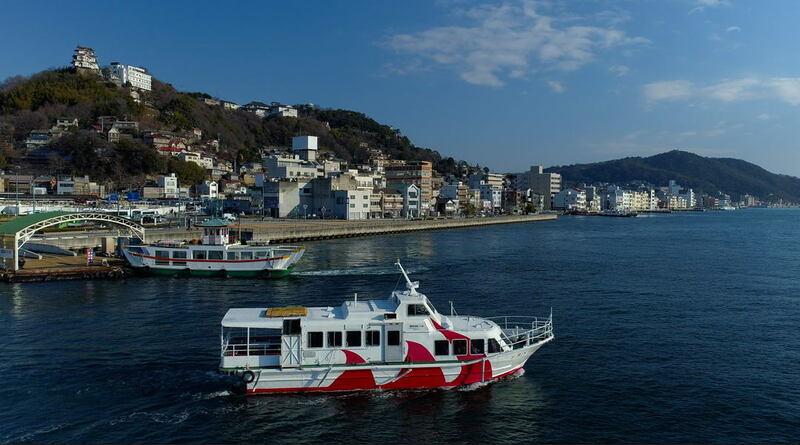 They operate a route that connects “A port for awaiting a favorable tide" "Tomonoura" and “A small city like a miniature garden" "Onomichi" for a limited period, such as, from spring to autumn. You can enjoy cruising for about 1 hour while enjoying the Setouchi like landscape that small islands will appear and disappear. After departing from Tomonoura, what will be shortly visible is Abuto Kannon where the temple is built at the cutting edge of the cape. It is the temple which holds the Kannon who is also said to be the model of Ponyo's mother "Grand Mare" in "Ponyo on the Cliff by the Sea", and you can not miss it out because the whole picture can only be seen from the ocean. You can see Tsuneishi Shipbuidling that builds and repairs a large ship when going through the arch structured Utsumi Ohashi and if you are lucky, you may have a possiblity to see the ship being built. 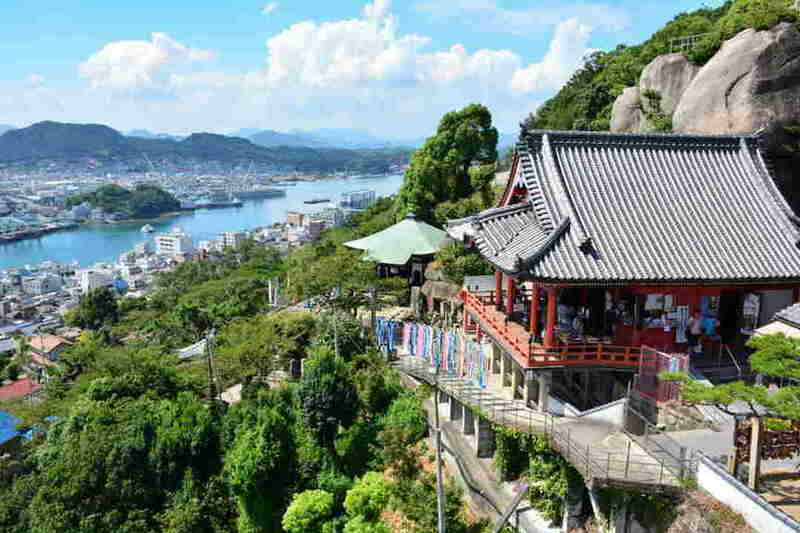 Proceeding further to Matsunaga Bay and Onomichi Suido will lead you to Onomichi after passing the Onomichi Bridge. 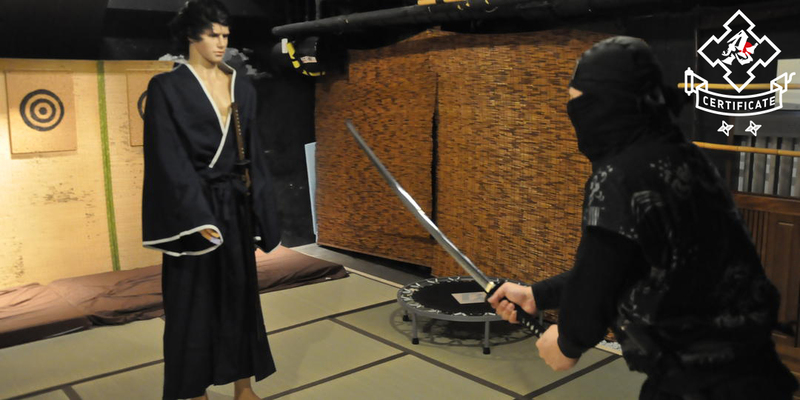 Although the spot guide on the ship is only given in Japanese, as of July 2018, an English guide sheet is also being produced. 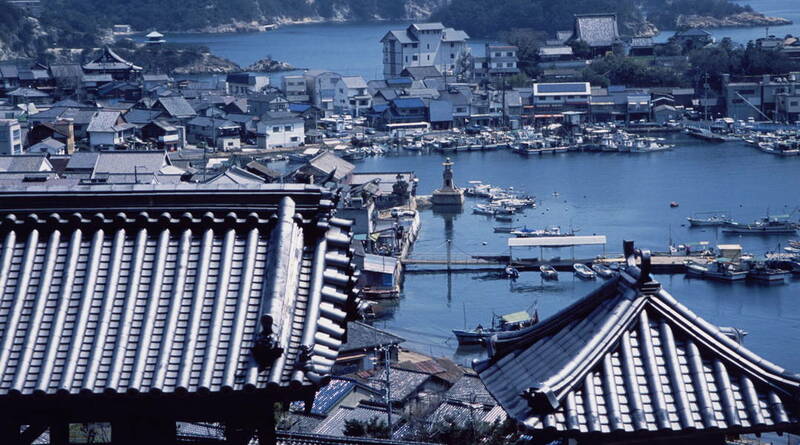 The sea and the mountain being approaching, Onomichi is known as "a town of slope" in Japan. 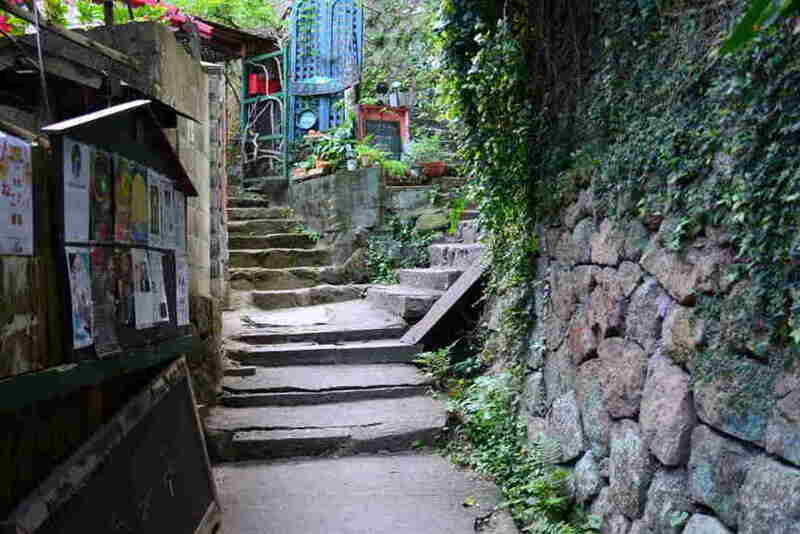 There are many narrow and steep streets, and stone stairs, where cars can not enter, and these are creating their own townscape with a complicated shape. Cats are freely moving around in such a townscape, and if you like cats, we would recommend you to call on the alley called "Cat Trail". 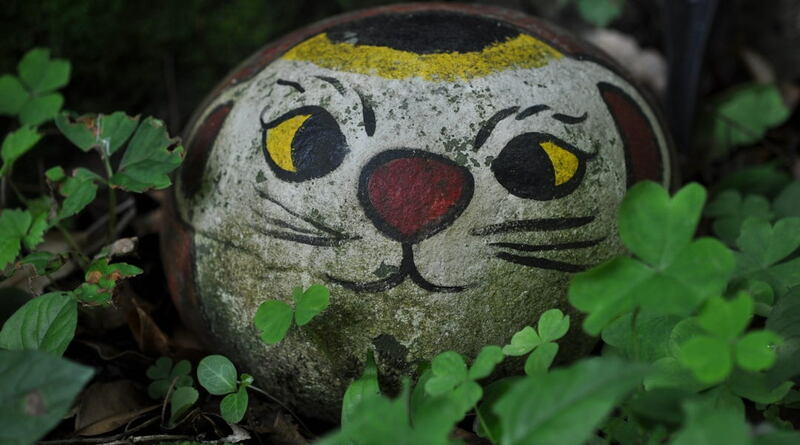 It has become to be called like this because "Fukuishi neko" (a work depicting a cat in the stone) created by Mr. Haruji Sonoyama of the author is located in the narrow alley of about 200m continuing from the east side of the Ushitora shrine to the Tennei-ji Temple triple tower. There are also shops and art museums refurbished from vacant houses, and we recommend you to walk in the alley when going for a stroll. Going up a little more from Cat Trail will take you to Senko-ji Temple. 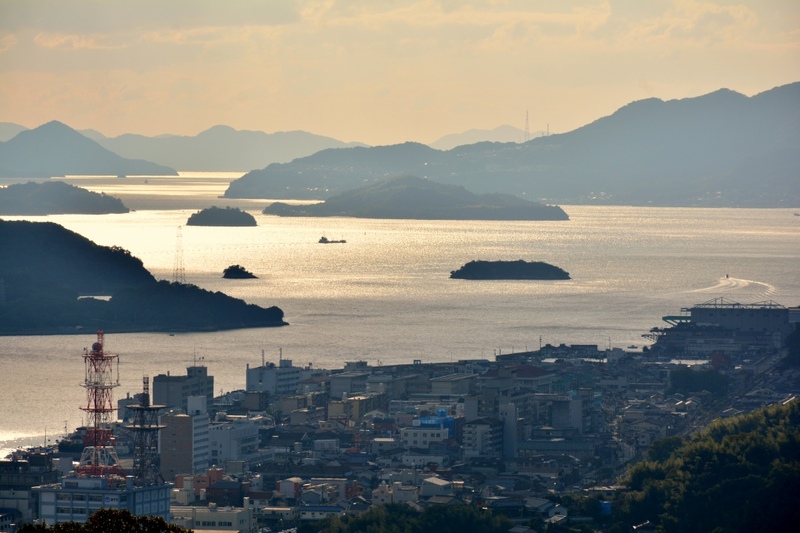 The view overlooking from the precincts is one of the landscapes representing Onomichi. 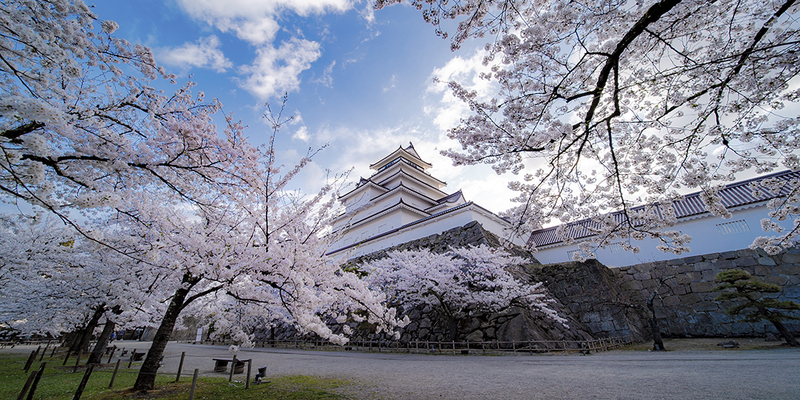 It has a vermillion main hall called "Akado" and a "Bell tower" chosen as "100 selections of soundscape in Japan we want to leave", and it is also very popular as a spot of the New Year's visit. Why don’t you give a wish to "Request Jizo" to write your wish and dedicate it? If it is hard for you to walk up, we recommend "Senkoji Mountain Ropeway" which allows you to go to "Senkoji Park" from the city area at a stretch . 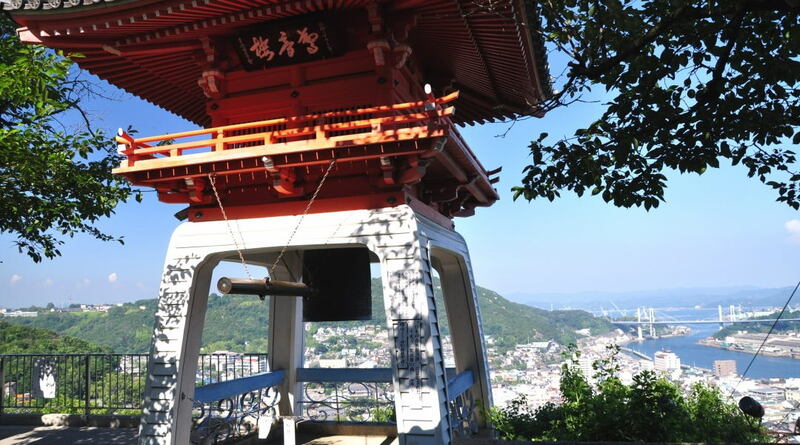 You can overlook the cityscape of Onomichi as you climb.